Pieces By Aideen: Swarovski hair pins! 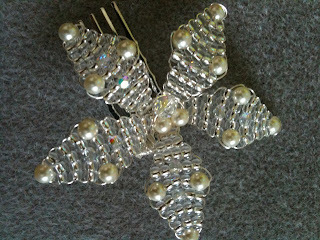 Meant to put these pics up yesterday too-just another hobby of mine! 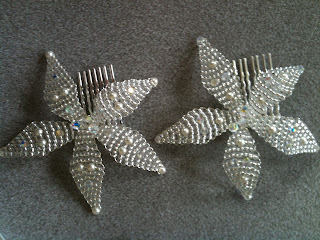 I made these beaded floral hair pins for a few friends of mine for their weddings using real swarovski crystals & pearls. OMG These are absolutely stunning !! !